February might be a short month, but Calgary’s visual arts community is buzzing with excitement. 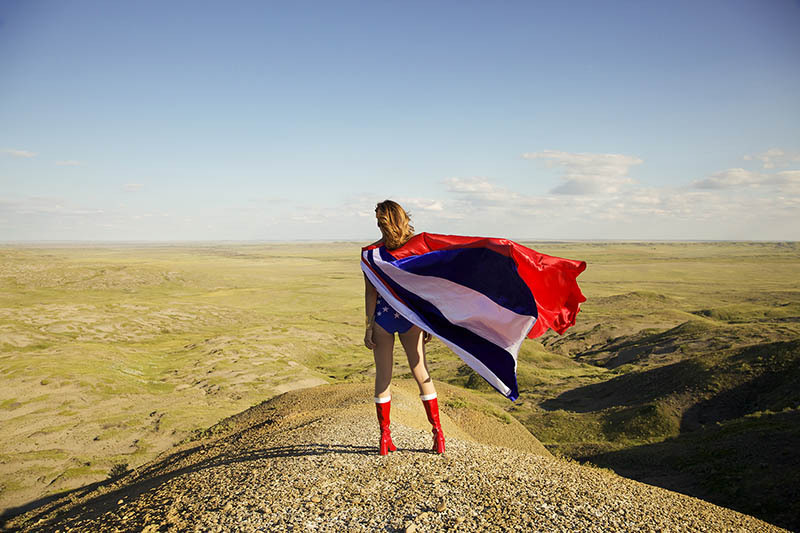 From the Exposure Photography Festival to fantastic new shows at Glenbow, there’s tons to see and do. A relaxed, social tour, bring your baby to the Esker Foundation and have tot-friendly fun while discussing the exhibitions. This program starts with a casual half-hour tour of the current exhibitions, followed by a half-hour of tummy time social fun for both baby and guardian! Professional photographer Scott Campbell and artist, designer, and stylist Karen Crocker have teamed up to present this curated collection of photographs from their latest project. Elevating the subjects to a place of power and dignity, the exhibit features women from all walks of life in red dresses, celebrating their strength, courage, and individuality. A fundraiser for the Heart and Stroke Foundation, the show is also part of the Exposure Photography Festival. Explore it at the opening reception, 5:00 to 9:00pm on February 1. Part of the Exposure Photography Festival, head to Jarvis Hall Gallery to see this new series of analogue photographs by Canmore-based artist Susan Clarahan. Full of work that builds a world that coalesces nature and bodies in a feminist exploration of sexuality, landscape, and ritual, swing by the opening reception from 5:00 to 8:00pm on February 1. Rosanna Terracciano’s a quiet flamenco exposes the introverted and vulnerable aspects of flamenco dance through interlapping, contrasting, complementing, and experimenting works in sound and film. An immersive sensory experience, explore it at the opening reception from 7:00 to 10:00pm on February 1 or swing by from 2:00pm to 4:00pm each Saturday (except February 16) of the run to see a durational performance. An installation exploring the insidious corruptibility of our material and personal relationships through the internet, Nick Heer and Alex Moon explore how the desire of connecting to each other is driving us apart. Check out the show as part of the PARTICLE + WAVE Media Arts Festival, 7:00 to 10:00pm on February 1. Experience the legacy of the Calgary Folk Music Festival—no tarp run required. Presented in partnership with the Exposure Photography Festival, this lovingly curated exhibition celebrates 40 years and relives beautiful memories through 40 photographs taken by festival volunteers. A group exhibition of photography by Edmund Clark, Paula Luttringer, Peter van Agtmael, and NOOR Za’atari along with project artists Nina Berman with Andrea Bruce, Alixandra Fazzina, and Stanley Greene, Walled Off is guest curated by Dona Schwartz, PhD, Professor, Department of Art, University of Calgary. Explore the show at a free gallery tour at 2:00pm on February 3. A solo exhibition by contemporary photographer Joshua Jensen-Nagle, explore scenes of leisure from a distance, often from high above, transforming people into toy-like figures against natural backdrops. SEASONS highlights select work from an ongoing series and showcases people as colorful specks clustered on long stretches of sand, rock, and snow. A juried photography exhibition from the Alberta Society of Artists in conjunction with the Exposure Photography Festival, this show explores the concept of the artist’s lens and how it relates to the idea of a personal and singular vision. Swing by the reception from 1:00 to 3:00pm on February 16 and hear an artist talk from Bill Peters at 2:00pm. Co-curated by Heather Saitz and the Christine Klassen Gallery, The Female Lens is a group exhibition featuring nine female photo-based artists—Diana Thorneycroft, Dona Schwartz, Elyse Bouvier, Haley Eyre, Heather Saitz, Julya Hajnoczky, Lori Andrews, Rocio Graham, and Vivek Shraya. Explore the show at its opening reception, 5:00 to 8:00pm on February 8, and save the date for an artist panel taking place at 2:00pm on February 23. Experience a selection of breathtaking fashions ranging from daytime to evening wear for grand occasions in this much-anticipated international fashion exhibition. 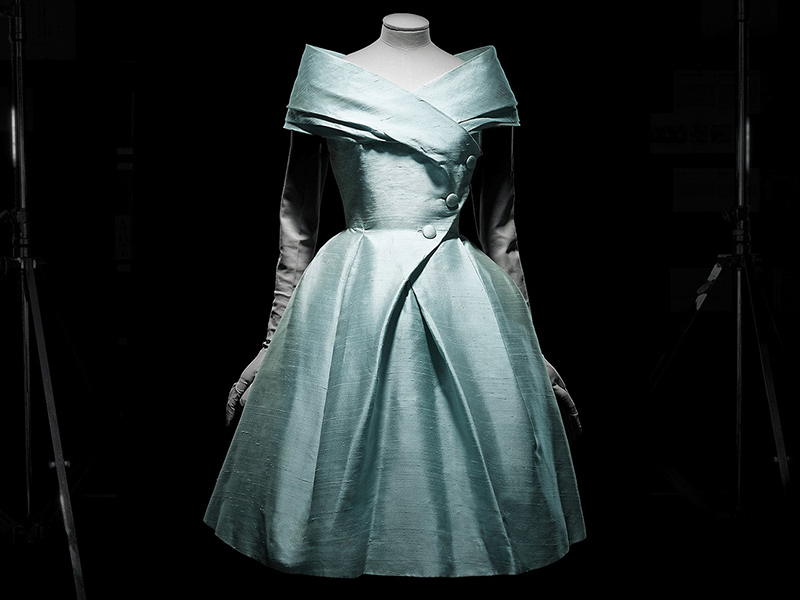 Organized by the Royal Ontario Museum, Christian Dior explores the ground-breaking work of one of fashion’s greatest couture houses and a glimpse into the rise of a fashion icon. 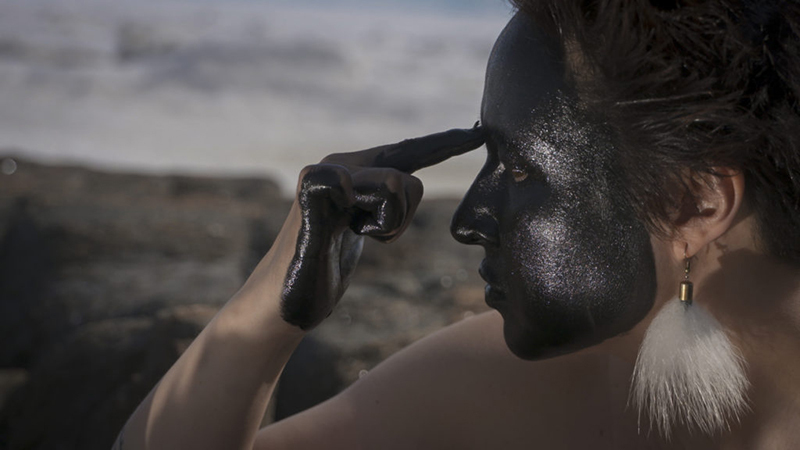 Ottawa-based artist Meryl McMaster transforms her appearance, whether by layering photographic images onto her body or through elaborate costumes and props she creates and inhabits as alter egos. An individual of Plains Cree and Euro-Canadian heritage, McMaster uses her work to explore the dimensions of her own sense of identity and the complex history of the photographic representation of Indigenous peoples. One of the most significant Spanish artists of the 20th century, Antoni Tàpies’ printmaking is intense, politicized, and defiant. This collection was acquired by Glenbow in 2010 and has never before been publicly exhibited at the museum. Glenbow’s artist-in-residence program invites multidisciplinary artists to interact with Glenbow’s vast collection of art and cultural material to inspire new works. Albertine Crow Shoe is known primarily for her exquisite jewellery and this exhibition features highlights of her past work as well as entirely new creations based on her discoveries from working with Glenbow’s collection. Glenbow’s collection of modernist and contemporary art provides the source material for an expansive exploration of different kinds of places. On Location features a fascinating range of artists including Tanya Harnett, Jeff Thomas, Vikky Alexander, Maxwell Bates, Ron Moppett, and more. A room-filling installation, Kent Monkman’s alter-ego Miss Chief Eagle Testickle stands atop a nine-foot high replica of a rock-face buffalo jump as sculptural bison run through the gallery. Donated to Glenbow in 2019 by the artist, the work references the near extinction of the North American bison and the subsequent decimation of Indigenous peoples who relied on it for sustenance. Join Dr. Alexandra Palmer, curator of Christian Dior and award-winning author, as she launches her third title, Christian Dior: History and Modernity 1947-1957. The book examines how the contoured “New Look” swept away the gravity of the wartime silhouette and explains the innovative dressmaking techniques behind key Dior signatures. Glenna Cardinal continues to explore her bone-deep connection to the reserve land that she grew up on—the land that was her grandmothers’ and is now the Southwest Calgary Ring Road. Presented in partnership with TRUCK Contemporary Art, her work is a response to her displacement and forced colonial identity while seeking comfort in a new place. Cardinal is a Saddle Lake Cree Nation member who continues to reside on her maternal reserve, Tsuut’ina Nation. 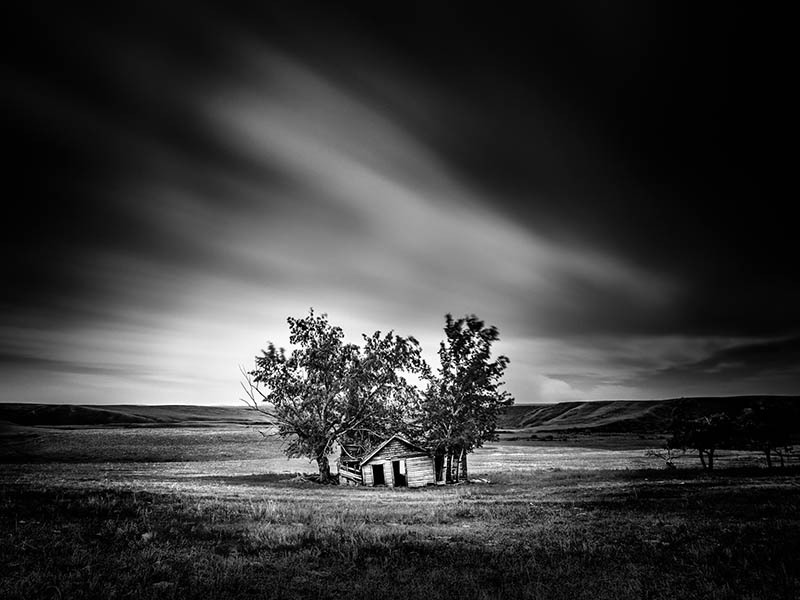 February celebrates Alberta’s Exposure Photography Festival and at Framed on Fifth you can see Returning Home, a new solo exhibition from Kris Schofield featuring photos of the homesteads of Alberta’s past. Swing by the artist reception on February 8 from 6:00 to 9:00pm. Presented in conjunction with the exhibition Before Digital: Post 1970 Photography in Alberta, this symposium features presentations and panel discussions with artists participating in the exhibition as well as regional artists utilizing photography in their practice. A series of emotive paintings which serve as a visual metaphor for life’s journey and the many experiences we share as we walk through it, join artist Cindy Bouwers at the show’s opening reception, February 9 from 7:00 to 9:00pm. Since its launch in 2016, Free First Thursday Nights has provided access to over 56,000 visitors and this popular program returns to Glenbow for 2019. And, with the first chance to check out a ton of new exhibitions including the much-anticipated international fashion exhibition, Christian Dior, you won’t want to miss it! In 2010 Facebook CEO Mark Zuckerberg was on stage at D8: All things Digital Conference being asked about Facebook’s privacy policies. The topic proved difficult and Zuckerberg quickly broke out into a terrible sweat. An evening talk with Dr. Mél Hogan, head to the Esker Foundation as that image becomes the focus of this presentation. In conjunction with her exhibition in the Project Space, mourning home, Glenna Cardinal discusses her work and her deep connection to the loss of her childhood home to the Southwest Calgary Ring Road. Kicking off with opulence and glamour fit for Christian Dior, this party is one for the record books as Glenbow celebrates the largest number of new exhibitions ever to open at one launch. Featuring live music by the Allison Lynch Trio, you won’t want to miss this one. 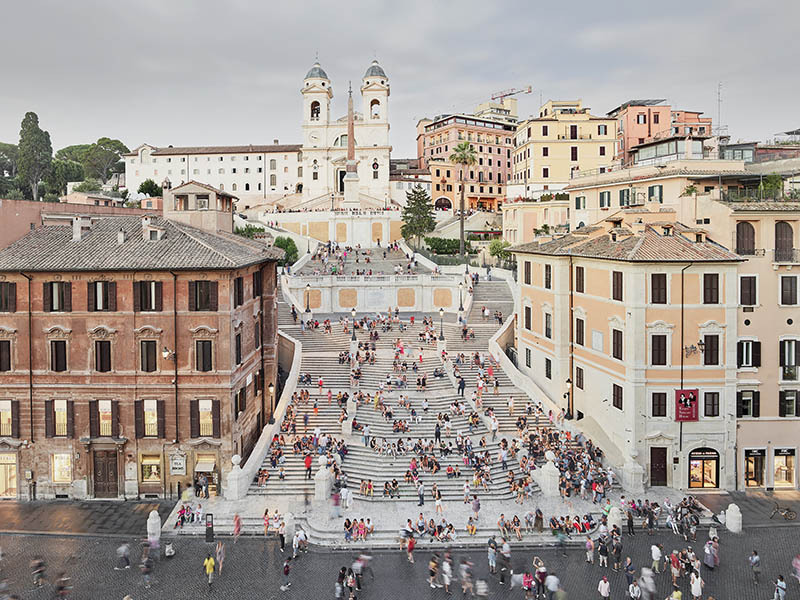 David Burdeny’s Svanire Series was made in some of Egypt, France, and Italy’s most iconic locations. Taken between 2010 and 2018, many of the images are being made available for the first time at this solo show. Join Burdeny at the opening reception, 2:00 to 5:00pm on February 9, 2019. The eighth installment of curator Nancy Tousley’s ongoing new work series shines a light on acclaimed—and occasionally notorious—local artist, Chris Cran. The Calgary Chinese Cultural Centre has formed a unique partnership with the Calgary Jewish Federation to share this exhibition exploring how Shanghai opened its doors to fleeing refugees allowing thousands of Jews to escape horrors of the Holocaust. The exhibit is hosted by both organizations throughout February and March and is open to the public. This February, join artist Eveline Kolijn and writer Aritha van Herk as they discuss their artist book, Deep Cold on the 11A, as part of this monthly salon series. Take a relaxed one-hour guided tour of Glenbow’s exhibition, Christian Dior, your wee ones in tow. Recommended for parents and caregivers with children aged two and under, fussing is allowed. Bringing accomplished artists and designers to AUArts to share their knowledge, experience, and practice, the first edition of this new series features Skawennati and Jason Edward Lewis. Reminiscent of George Jetson’s retro modernity, here’s your chance to meet Leanne Keyes and hear about her inspiration in making her joyful and lighthearted glass bead pieces. Part of Date/Less—a building-wide open studio night featuring mini workshops and demos, custom cocktails and mocktails, art appreciation, and local shopping—it’s bound to be the perfect night out. A romantic evening of haute couture and elevated cocktails, this is your chance to enjoy an intimate guided tour of Calgary’s first major international fashion exhibition, Christian Dior. Join curator Mary-Beth Laviolette and tour through Before Digital: Post 1970 Photography in Alberta. It’s a fantastic chance to see the exhibition and ask questions about the works on display. Head to the Esker Foundation for an afternoon of family fun at the gallery and delve into new mediums with art projects that relate to the current exhibitions. This is an educational, energetic, hands-on program for kids ages five to 10. An adult is required to stay for the duration of the workshop and all materials are provided. Celebrate international analogue photography with the release of SEITIES’ 10th publication. Featuring more than 50 local, national, and international analogue photographers who utilize unique traditional processes in their contemporary photography practices, the exhibition features the original handmade darkroom prints, polaroids, and wet plates. With scotch and stemless wine glasses, vases and bowls, gallery quality glass art, and all kinds of little sculptures including birds and bears, be sure to check out the studio for amazing glassblowing demonstrations. With a new pop up exhibition of contemporary visual art, head to Knox Contemporary Gallery of Art to see artwork by talented visual artists Dusti Gomery, Chlan Grant, Jane Lochrie, Matt Trinh, and Terry Gregoraschukhow. Thomas Kneubühler examines the communication cables between Europe and North America and charts their speed of over time. Centred in this exhibition, Kneubühler highlights the first submarine cable—the FLAG Atlantic-1—to transmit high quality video for consumers. Using photography, video, and installation, the show examines complex socio-political issues and the limits of representation. See the show at its opening reception at 8:00pm on February 22. A curated series of afternoon film screenings at Glenbow, André Leon Talley has been a fixture in the world of fashion for so long that it’s difficult to imagine a time when he wasn’t defining the boundaries of great style. Featuring commentary from fashion luminaries including Anna Wintour, Marc Jacobs and Tom Ford, The Gospel According to André is an indispensable addition to the growing canon of fashion documentary. With original artwork by 12 local artists, see paintings varied in style and technique, reflecting the unique creativity and inspiration of each artist. There’s even a chance to win an original painting and an artist is in attendance each day. Moving to its second location, head to the Calgary Jewish Federation to see this exhibition exploring how Shanghai opened its doors to fleeing refugees allowing thousands of Jews to escape horrors of the Holocaust. Co-presented with the Calgary Chinese Cultural Centre, the exhibit is on loan from the Vancouver Holocaust Education Centre. A curated series of morning film screenings for adults with small children (ages two and under), head to Glenbow to see fashion documentary, The Gospel According to André. A key figure in the Calgary visual arts community, join Chris Cran for an intimate evening as he shares insights into his art practice and takes you on a tour of his new exhibition at Glenbow. 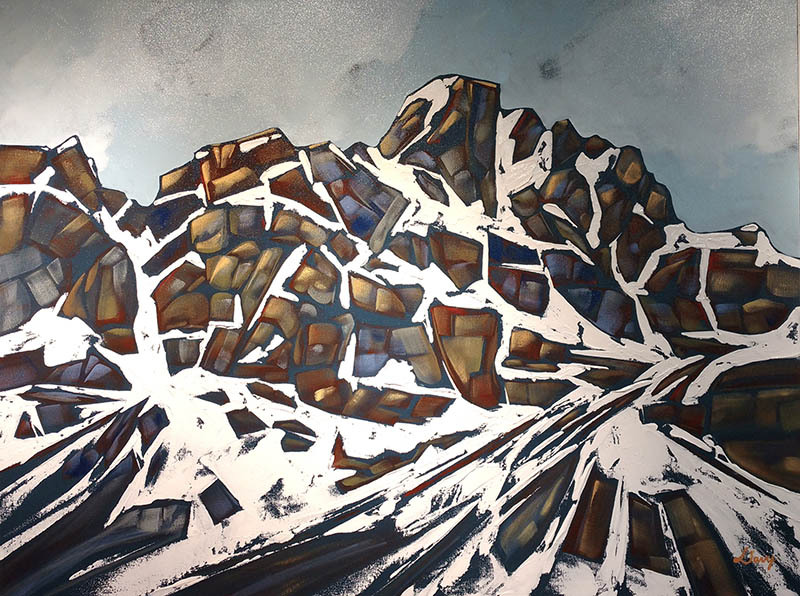 Monumental and charged with an intense energy is a great way to describe the mountain peaks featured in paintings by David Newton. His work is full of abstraction with bold strokes and strong colours. Ranging from moody to suspenseful, abstract expressionist to minimalist, figurative to abstract, this group show explores how black is used by the art world. With a new pop up exhibition of contemporary visual art, head to Knox Contemporary Gallery of Art to see how an artist applies paint to the painted surface, whether by bushing, rolling, spraying, pouring or splattering and throwing. Demonstrations of techniques can be viewed periodically throughout the exhibition. With a traditional tea ceremony and calligraphy demonstration at 1:00pm on February 2 and 3, 2019, celebrate the Spring Festival Exhibition of the White Brush Fellowship of Calligraphy. Jill Ho-You engages with anxiety, fear, and speculation about the future of the planet in this solo exhibition. Blurring the lines between the human body, natural, and manufactured landscapes, Inversion traces a speculative history of the Earth from creation to destruction. In this exhibition of all new works, Canadian artist Shawn Evans paints his own experience of architecture and industry through engaging and fragmented compositions. Combining photorealism and abstraction, his work features layers of murky paint washes to portray an urban wasteland. Using techniques of photography and printmaking, Angela Snieder’s work proposes that illusion and artifice contribute to our experiences of space. Explore the work of 30 artists from Indefinite Arts Centre, this show stems from a residency program at Leighton Art Centre that looked at freedom of expression inspired by the natural environment and the site’s history. A recent graduate from the Alberta College of Art + Design, Mitchell Luken works primarily with copper etching processes. Exploring personal identity and social masks within modern society, check out the show at the closing reception from 7:00 to 9:00pm on February 28 or make an appointment by email at info@burnttoaststudio.com. A recent graduate of the print media program at the Alberta College of Art + Design, Shelby Wolfe-Goulet’s work reflects on notions of memory and identity while unpacking complex family narratives and histories that are shaped by intergenerational knowledge. Explore the show at the closing reception from 7:00 to 9:00pm on February 28 or make an appointment by email at info@burnttoaststudio.com. Stephen Dolha’s photography brings the viewer an extremely detailed macro view of nature, full of incredibly vivid colours, surprising richness, and texture. Part of the Exposure Photography Festival, explore the work at an artist reception from 6:00 to 9:00pm on February 13. Errol Lee Fullen has maintained a professional art practice for over 40 years. In addition to creating solo collections, he has worked extensively with architects, designers, consultants, and collectors. Organized by Tarah Hogue, Maria Hupfield, and Tania Willard, TRUCK Contemporary Art, Stride Gallery, and grunt gallery team up for this artistic and curatorial collaboration. Featuring work by Christi Belcourt, IV Castellanos, Marcia Crosby, Maria Hupfield, Ursula Johnson, Cheryl L’Hirondelle, Isaac Murdoch, Esther Neff, Tanya Tagaq, Tania Willard, and Laakkuluk Williamson-Bathory, #callresponse promotes discussion and action around Indigenous cultural revitalization, land-based knowledge, and cross-cultural solidarity. Curated by Mary-Beth Laviolette in partnership with Contemporary Calgary, this exhibition takes a selective look at the late analogic period through the eyes, camera shutters, and darkrooms of 27 Alberta photographers. Revealing the experiences of returning Great War veterans, their struggles, and their contributions to Canadian society as we know it today, Lougheed House debuts this new national traveling exhibit created by the Canadian Centre for the Great War in Montreal. Showing in The City of Calgary Public Art Program’s Open Spaces Gallery, Irena M. Kongsuwan’s The Table is a positive message about companionship and acceptance amid diversity, represented by different ways of eating across selected cultures. Check it out at its reception and public program at 6:00pm on March 21. Artists come from all over the world to work in Medalta’s studios, bringing their unique experiences, techniques, and ideas to the Historic Clay District. Curated by Jenna Stanton, this exhibition celebrates 12 artists who have decided to make Medicine Hat their home. Mekinawewin, to give a gift is a three month-long project by Tamara Lee-Anne Cardinal that focuses on the role gifting plays in contemporary forms of exchange. Throughout the project Cardinal will be building new work in the gallery space alongside hosting several workshops with community organizations. 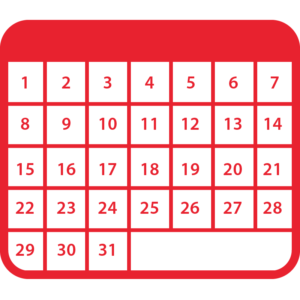 A closing reception and gifting ceremony is set to take place from 2:00 to 5:00pm on March 23. Organized by Nickle Galleries and curated by Christine Sowiak with catalogue essay by Julia Kruger, Mireille Perron explores AltaGlass by presenting 113 selected objects from the collection alongside cyanotypes. Curated by Jasmine Hynes in collaboration with Museum and Heritage Studies, the photographic works in this exhibition challenge traditional understandings, perceptions, and interpretations of landscape. With works from the collections of Nickle Galleries and the MacKenzie Art Gallery, curated by Timothy Long and Christine Sowiak, each piece in this exhibition summons stories of political responses and personal memories of many world events from the 20th and 21st centuries. Jeremy Shaw’s first solo show in Calgary revolves around three para-fictional short films—Quickeners, Liminals, and I Can See Forever. Shaw’s central film trilogy is complemented by his photographic series Towards Universal Pattern Recognition. The works in Neil Campbell’s Esker exhibition range from wall paintings to vinyl print installations to forms milled from plate steel that gesture toward sculpture. His carefully articulated shapes and patterning morph gallery spaces from being familiar and static to something unexpected and active.